Use full drivetrain model from blades to generator including a fully detailed gearbox model and complete flexibility of all components. 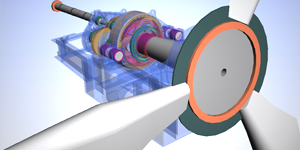 ‘DRIVA for Engine’ enables modelling and dynamic simulation of transient torque changes within an engine and the consequent effects on component lifetime. 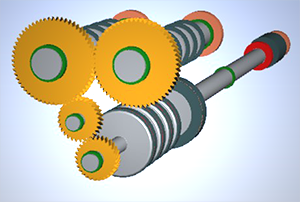 The loading of whole engine drivetrain is highly dynamic and traditional static rating methods are widely inaccurate.